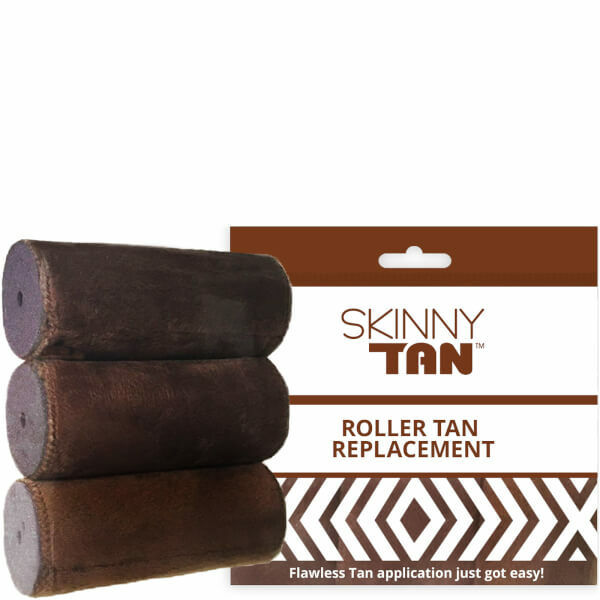 Refresh your favourite tanning roller with the SKINNY TAN Roller Tan Replacement; a pack of three roller heads that assist in self-tan application. Specially design, the heads fit securely onto SKINNY TAN’s Luxury Application Roller. Crafted from luxurious true velvet, the rollers glide over the body, evenly smoothing and distributing tanning product to deliver a professional-looking, streak-free finish. Each roller is machine washable, which allows for several uses before needing to be replaced. Expect flawless tan application that appears seamless and natural. Just pop the replacement head into your Roller handle when you fancy using a new head.